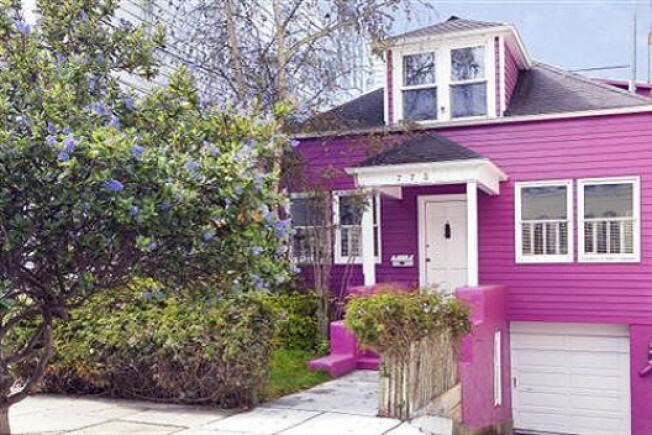 773 15th Avenue: 3 bedrooms, 1.5 bathrooms (do note the IKEA mirror/ sink combo), 1400 square feet— and many, many gallons of purple exterior house paint, applied often and liberally. Bonuses: Proximity to Golden Gate Park (next door! ); artist studio in back (do note the easel/canvas demo); open living room, deck. $849,000 asking.